The Aucœur family owns the oldest family domain in Villié Morgon. It offers fruity wines with character and an excellent level of quality and price. With his grandfather Jean-Pierre, Arnaud learns to work in vines at the age of 18. He completes his training with a BTEC in oenology to upgrade his knowledge and to improve his experiences. 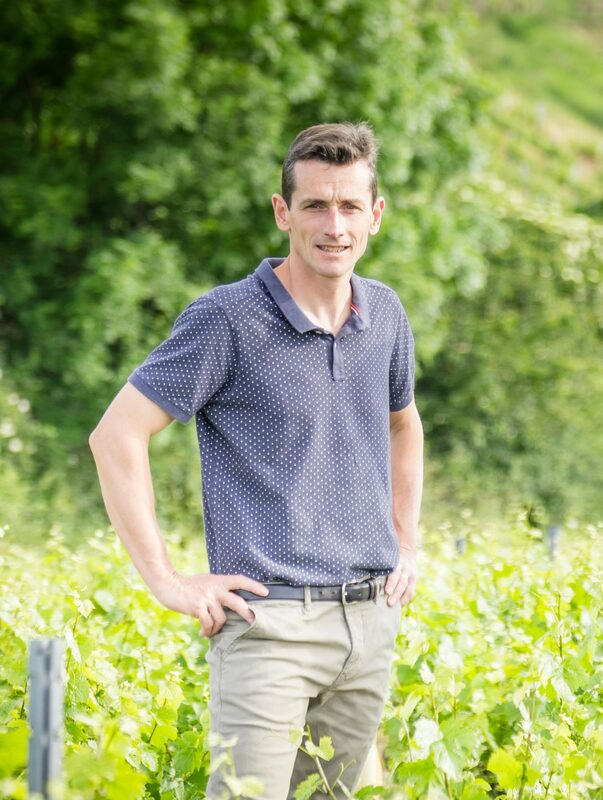 After two years specialization in Marketing, Arnaud buys all the vines of his aunt, and thus obtains the oldest family domain of Morgon village. Like his grandfather, Arnaud prefers quality over quantity. So, he plants each year bots of vines, to ensure the transmission of this heritage of 10 generations Aucoeur. The whole production is done manually, in the respect of the tradition of the Aucoeur first generations. Each vine planted requires a meticulous work that only people can realize with as much attention. Shearing, tying up and harvesting are all tasks performed manually. During harvest, we enjoy of a few festive and happiness weeks, our home welcomes about forty women and men. They are all trained to harvest the new vintage and reproduce the ancestral gestures of grapes picking, fruit of one year work. Transmission is a fundamental value for the Aucoeur family. To perpetuate the legacy of his ancestors, Arnaud makes some of his wines, including the “Moulin à vent”, in wooden containers. Barrels, tons and semi-casks are housed on the farm, to delight fans of onéo-tourism, hosted by Arnaud and Mélanie Aucoeur throughout the year. More than a winemaker, Arnaud Aucoeur is before anything else a passionate of discovery and sharing. So he crosses around Beaujolais, and ensures the promotion and the value of ignored wines by a very precise winemaking process. For Arnaud, emotion arises from the balance between tradition and modernity. So he works in partnership with viticulturists and trusts them for vines culture. Later, he takes care of the winemaking that it realizes according to the processes and Aucoeur signature. He likes to make fruity wines with character, and this winemaking gives to the Morgon, Beaujolais or Mâconnais Aucoeur, all their particular and unique taste. In July 1998, Melanie integrates the 11th generation of Aucoeur family. The young woman is a harp player and a student in economics and social sciences. After obtained her bachelor, she is about to enter a master logistic and quality, when she falls in love of her high school classmate. A few years later, the two inseparable lovers give birth to their first child and so, open the first chapter of the 12th generation Aucoeur. 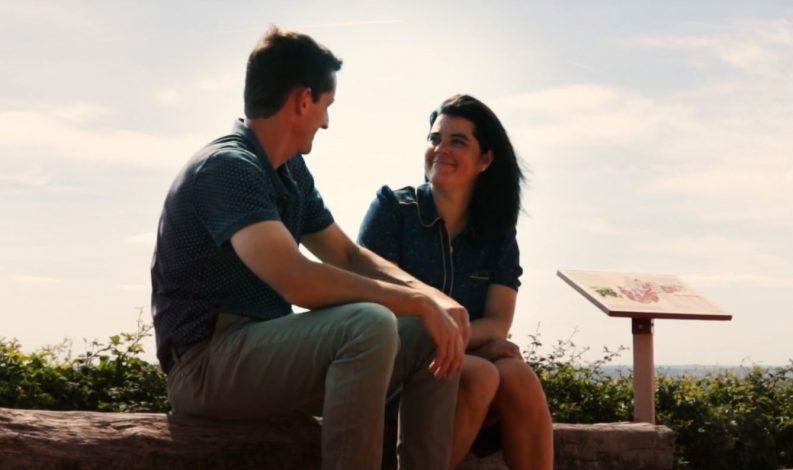 Just before the birth of their second child, Melanie who is a manager in a Lyon-based company decides to join the family domain in other to contribute with her skills of human relations, logistics and quality. Quickly, the domain is structured, organized and emancipated. Her academic and work experiences help to better analyze the domain, its objectives and ambitions that she notified on a roadmap. 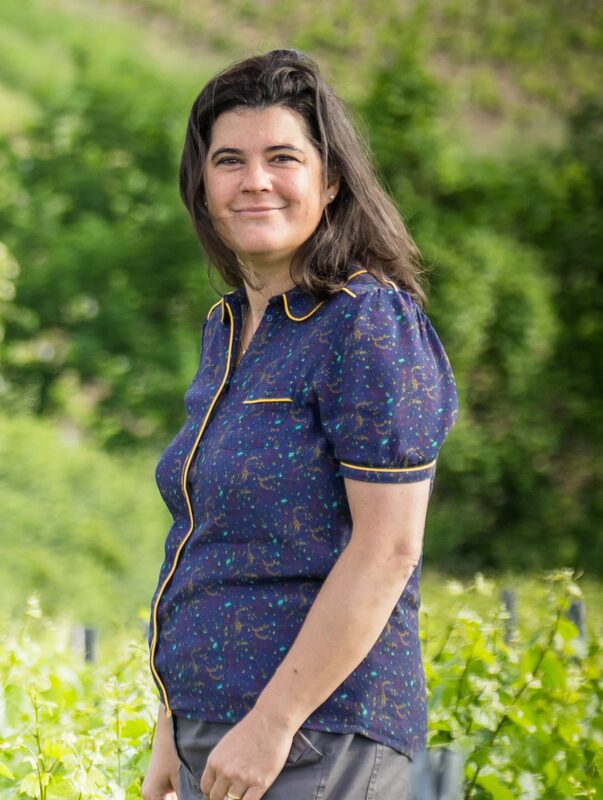 With a particular enthusiasm, generosity and humility, Melanie Aucoeur offered to the 1825 old domain, a contemporary dimension necessary for the future, and a new generation of 4 Aucoeur: Adrien, Constant, Rose and Aimee. Finding precious grapes and ensuring the value of ignored wines: That is Aucoeur main key. The greatness of a discovery is to be able to share it. Transmission is the basis of Aucoeur family. It has been sustaining the old Domain in Morgon since 1825. Morgon, Fleurie, Moulin à vent, Brouilly, Saint Amour, Chiroubles, Régnié, Juliénas, Chénas, Beaujolais Villages, or Beaujolais. Our wines are all raised, vinified and packaged according to particular emotional and technical conditions of our domain. The wines are fruity with a special character. They offer value in terms of price and quality, specific to the signature Aucoeur. To follow with use, you need to be at least 18.